Union Jack Ideas ... it's not just the Brit's flag anymore! These Union Jack ideas show it's not just the Brit's flag anymore, it's a fashion statement. And since we just can't get enough of the Olympic Games and are all about Olympic fashion, watching the swimmers (go Missy Franklin & Ryan Lochte!) and gymnasts (our heart is breaking for Jordyn Wieber but we are cheering on Aly Raisman & Gabby Douglas! ), London in general, and Will & Kate, we found the cutest and kitschiest Union Jacks around to keep us in the Olympic Spirit. We are loving it all, darling, but we are obsessed with sweet, modern Union Jacks. This cute Union Jack is a makeup bag and the perfect souvenir of the 2012 Olympics. The colors are adorable and the designer, Jan Constantine, was tapped to designed the amazingly simple, yet charming Olympian's rooms (see below). 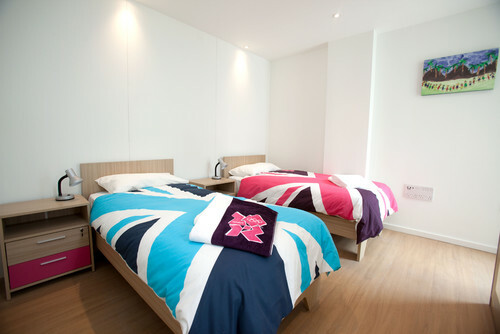 That simply makes her the queen of Olympic interiors - check out her pillows and bedding! Jessica Cushman is the go-to queen for all things Union Jack and Olympic Fashion. She's taken the British icon to new fashion heights, and we adore every pastel and bright inch of what she is doing. 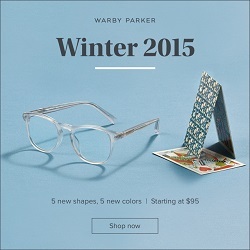 The union Jack is branching out in color and bling. Red, white and blue is as story as the old line royalty, and the new colors are all about Olympics, British pride and having fun! Wear your British pride, and keep your Olympic fashion moving forward. Decals do their part to keep you organized and brighten your walls. With colors ranging from bright green to to copper to brown to black and white, there are super-pigmented sets to suit any color range you are looking for in an eyeshadow. And they just look pretty and bring a smile when you look in your makeup drawer! Hopefully one of these plates by Jonathen Adler will one day turn up on eBay, because we find it charming and totally Brit with the corgis and crown -- with just the right amount of irreverence in the fonts and and colors. Perfectly Mr. Adler! 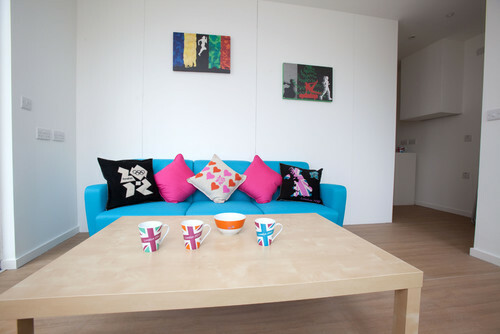 Jan Constantine is an Olympic interior icon who designed the Olympic Village Apartments. What could've been stodgy and stuffy is bright and welcoming! Fun fact: the beds are 5'8" long, but taller athletes can request longer beds! Think of all those basketball players and let's hope they are comfortable! At least we know the entire Olympic village is sleeping in Olympic fashion and style, which is just what the best in the world deserves. Happy Olympic viewing and enjoy your Olympic fashion and sports! Chips and Dip - 3 Yummy Treats!